While you may be familiar with one aspect of our business, we want you to know we’ve expanded our services to meet all your construction needs. Jokake continues to plan, coordinate, communicate and deliver construction and facility services in and around environments where people are directly impacted. We haven’t abandoned the foundations that have made us successful to date. We’re building on them. Our team of construction experts understand the critical nature of the pre-development process. Our clients receive complete development services as a result of our local expertise. From land entitlements, feasibility studies, neighborhood and city design review, conceptual design, programming evaluations, infrastructure and environmental negotiations to pro-forma development and financial services - our team at Jokake Construction has experience managing the many consultants involved during this phase. Early collaboration with owners, designers and Jokake’s construction professionals is known as Pre-construction. We often refer to Pre-construction as “value-design” as we strive to infuse maximum value into the design and avoid costly backtracking and redesign. During this process we evaluate the functional program elements, constructability, existing site and/or building constraints, procurement of materials, and cost and schedule implications of every design option. Made early in the planning and design phases of a project, these decisions add the most value to the design and have the greatest impact on the bottom line and construction schedule. As a full-service general contractor Jokake Construction combines the experience and expertise of larger contractors with a uniquely personal approach to construction projects. Whether you’re looking to develop a vacant site, build within an existing campus or building, our New Construction Team is equipped with the latest technology to ensure the success of your project. Our job sites are office buildings, hospitals, school campuses, corporate headquarters, data centers, hotels and other settings where strong communication, attention to detail, rigorous safety and disruption avoidance are key. We understand how critical it is for our clients to keep their operations up and running, so we’ve developed a particular expertise in completing complicated work with minimal impact to employees, customers or patrons in every phase of the project. We’re available to respond to our clients’ diverse needs and solve their most challenging facility and site construction projects at a moment’s notice. 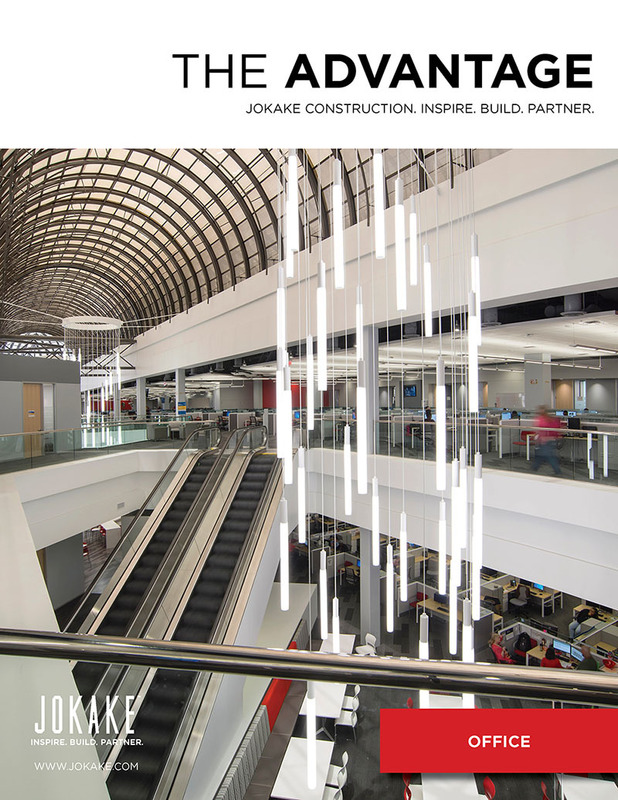 Whether rushing to a project site when emergencies arise, coordinating a multi-phase renovation, or handling a small repair, Jokake provides the best construction experience to our clients today and into the future.